Now that summer time is here, I thought I would share a great summer time recipe from Gail Simmons of Bravos Emmy winning series: Top Chef. 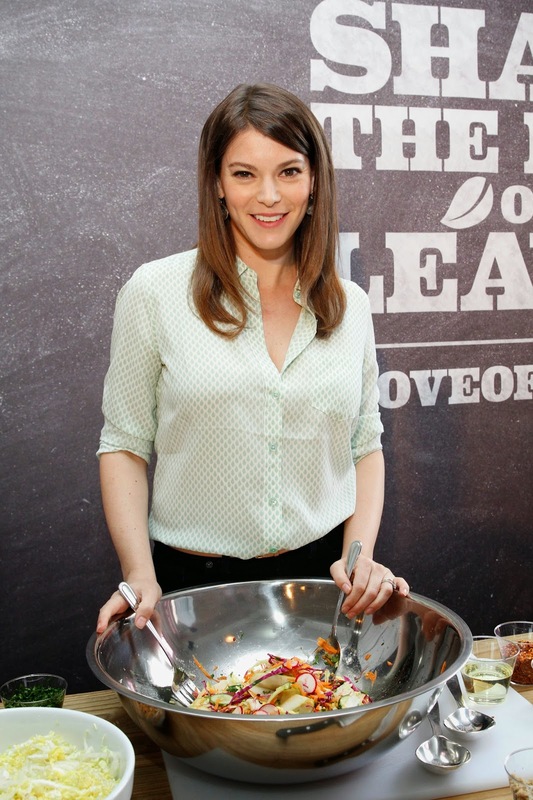 Gail Simmons is a trained culinary expert and permanent judge on BRAVO's Emmy-winning series Top Chef, now in its 12th successful season, as well as the head critic on Top Chef Masters. She is also a special projects director at Food & Wine Magazine, and the author of Talking With My Mouth Full: My Life as a Professional Eater. 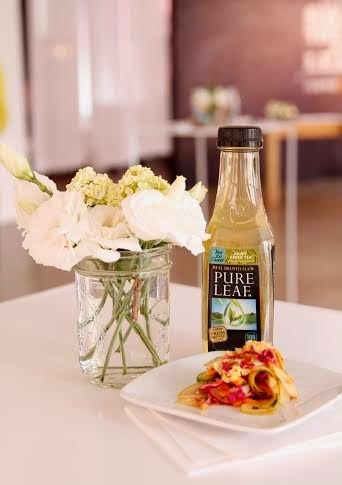 Gail has partnered with Pure Leaf Iced Tea in their #LoveOfLeaves program for 2014 to make a difference in the lives of others and in their communities through a partnership with Wholesome Wave. Every engagement (share, like) with content tagged with the #LoveOfLeaves hashtag will activate a $1 donation to Wholesome Wave, providing fresh fruits and vegetables to under served communities. Wholesome Wave programs improve the accessibility and affordability of healthy, locally grown fruits and vegetables. They currently reach over 28 states, and work with more than 60 community-based organizations who manage nearly 400 farm-to-retail venues, and impact more than 3,200 farmers.Together, this community has the power to provide 100,000 pounds of fresh produce to those in need. Begin by making the dressing so the shallots have time to marinate. In a large mixing bowl combine everything except the shallots and whisk together. Place shallots in the dressing and set aside. Using a mandolin or a food processor with the slicer and grater attachments, finely slice the cabbages, radish and cucumber. Grate the carrot and separate the cilantro leaves. Core the apples and finely slice to yield thin half–moons. Place everything into a mixing bowl with the dressing and sliced shallot and toss together well. Serve slaw topped with chopped peanuts and extra cilantro leaves. 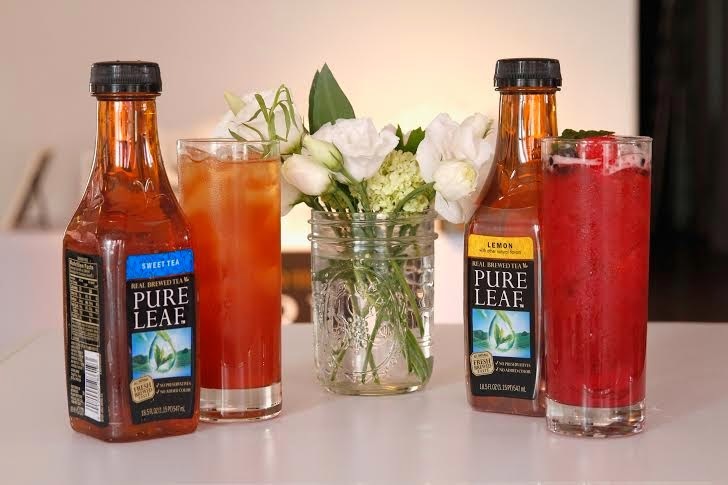 Pair with a bottle of Pure Leaf Not Too Sweet Honey Green Tea. 1. Add tea and tarragon to a small saucepan and bring to a simmer on medium heat. Remove from heat and steep for 10 minutes. Strain into a heatproof container and cool thoroughly. 2. Combine watermelon and cucumber in a blender. Add lime juice and blend until smooth. Strain mixture through a fine mesh sieve into a pitcher. Add cayenne and stir. 3. Pour half cup tarragon tea and 1/2 cup watermelon mixture into 4 ice filled glasses and garnish each with a tarragon sprig. 4. If you would like to make a cocktail, all you have to do is add a 1 ounce shot of your favorite tequila to each drink....and enjoy!